New Jersey business owners should be aware that there are strict regulations which allows the Internal Revenue Service (“IRS”) to collect employment taxes from a business or its owners and potentially senior employees, who are not owners, if a business fails to pay employment withholding tax to the IRS. Federal employment tax require employers to withhold money, for Social Security and Medicare, and pay it to the IRS on a quarterly basis (also known as a “941 payment”). These payments are known as “trust fund taxes” because the withholding amounts are held in “trust” by the employer for the IRS. Failure to pay employment taxes is therefore viewed as theft because the owner is using money that belongs to the employee. The IRS therefore has strict regulations which allow it to recover trust fund taxes directly from owners and senior employees if the business fails to pay the tax. In a typical case the IRS will assess personal liability against individuals it alleges were responsible to pay this tax on behalf of the business. The IRS will also assess penalties and interest. The penalty (also known as a “jeopardy assessment”) is equal to the amount of the unpaid trust fund tax. Responsible individuals will personally be required to pay the tax, penalty, and interest. People cannot avoid paying the trust fund tax by dissolving the business because the trust fund taxes will not disappear when the business ceases to operate. Instead, the trust fund taxes will become the personal liability of all individuals responsible to pay these funds to the IRS when the business was operating. The IRS has the authority to lien and levy on the assets of all responsible persons after the business has dissolved. The IRS can also foreclose on a resulting tax lien. However, the IRS is required to provide notice to any taxpayer on whom it intends to file a lien or a levy. If you receive any notice from the IRS regarding trust fund tax or jeopardy assessment, our experienced New Jersey tax attorneys can help. It is important to immediately seek advice from an experienced tax lawyer because there is a thirty to thirty five day period (depending on the circumstances) to appeal a decision by the IRS. Failure to timely file a proper administrative appeal can prohibit taxpayers from later challenging the IRS assessment. Finally, it is important to know that people cannot escape liability by filing for bankruptcy protection, because trust fund taxes typically are not dischargeable. It is therefore critical for business owners to ensure that the trust fund taxes are always paid to the IRS on time. If you receive a notice from the IRS regarding trust fund taxes or if your business is struggling to keep up with its bills, our New Jersey tax attorneys can help. McLaughlin & Nardi’s attorneys regularly represent people to help negotiate down tax liability, defend allegations that a person is the “responsible individual” required to pay a the tax liability of a business, and defend individuals from allegations for failure to pay trust fund taxes. 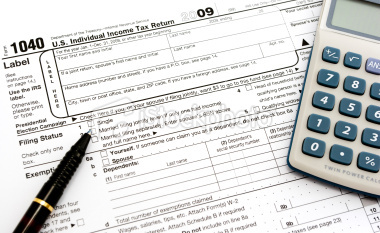 Our tax attorneys have extensive experience representing people in various proceedings against the IRS. To learn more about what we can do to help, please contact our lawyers by e-mail or at (973) 890-0004.